T has his nativity play at nursery at the weekend and he's paying Joseph! 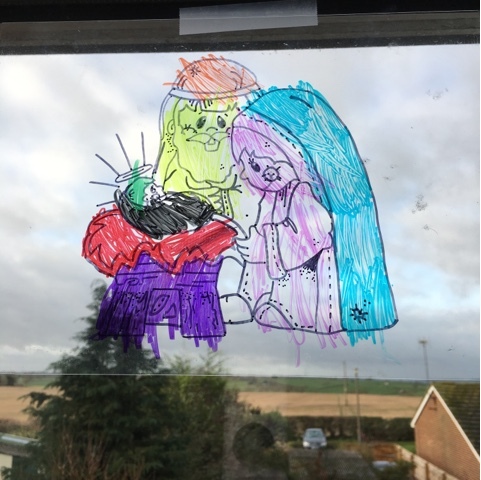 So we've been reading, singing and drawing all things nativity at the moment! 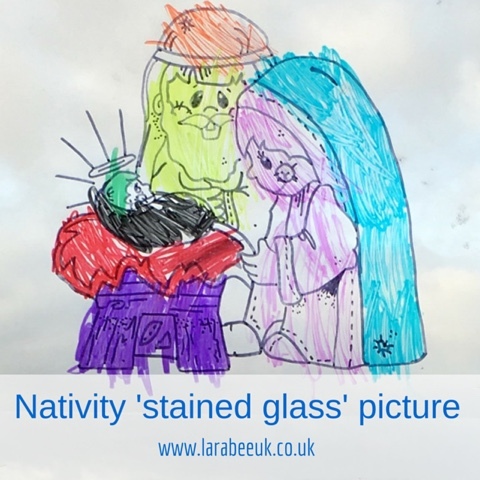 T has never really understood the true meaning of Christmas until this year and now I think it's really important for him to understand why we celebrate. 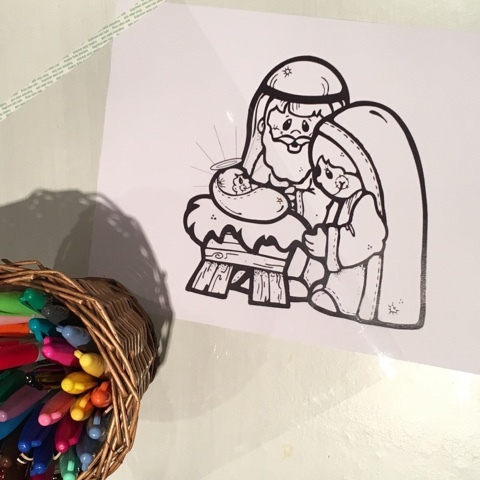 This is a really simple activity which we did this week and have added to our Christmas gallery! I printed off a picture from a Google search, the transparencies I have are not compatible with our printers so instead of printing directly onto them (which of course would have been much better!) 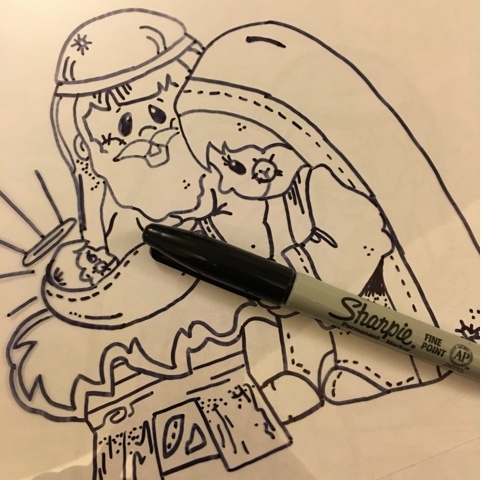 I placed the transparency on top of the picture and drew over it in a sharpie. When I'd finished we turned it over and T coloured it in using sharpies. We were then able to stick it on our gallery Windows, it looks lovely when the sun shines through and we had so much fun making it. What part are your children playing in the school/nursery productions this year?